The Operations Department, when it receives the Load Sheet from the airlines, would be able to feed in all the loads at one go. Based on pre-fed information, the system would intelligently find out the rotation to be served on each flight. It would also work out the no. of meals to be served. All this would happen for the various Flight classes. The Kitchen can then get a copy of the KOT from the system. The KOTs can also be configured as per the various sections of the Kitchen. The F&B section also has a role to play in deciding the menus and the items to be uploaded on the flights. They can also enter the prices of the various menus / items and the taxes applicable. Taxes can be included in the final price or may be extra. The Catering System has also got an associated Billing system, which enables the invoices to be prepared based on the airline requirements. The Billing system shares common tables in the database, so that duplication and mistakes are avoided. The Accounts Department can then raise the invoices on the airlines. The Billing system has provisions to generate invoices based on various parameters. It can also work out the amount of taxes collected and to be paid to the various authorities. 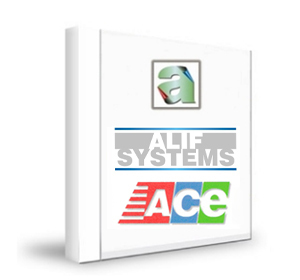 The Billing System in turn is interfaced with the BOSS system (the accounting system). Revenue JVs can be generated in BOSS through the interface, so that time and efforts are reduced and at the same time, accuracy is maintained.